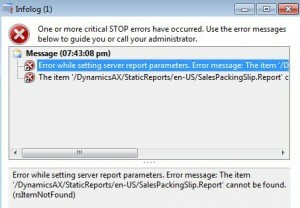 The item ‘/DynamicsAX/StaticReports/en-US/NameOfReport**’ cannot be displayed. The error message is generated because language specific, or “static” reports, have not been deployed. Reference the following TechNet article to learn about language specific reports and how to deploy or re-deploy the reports if desired. 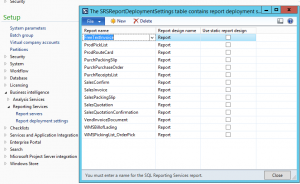 In short, the static reports are a select list of reports which are deployed for a specific language. 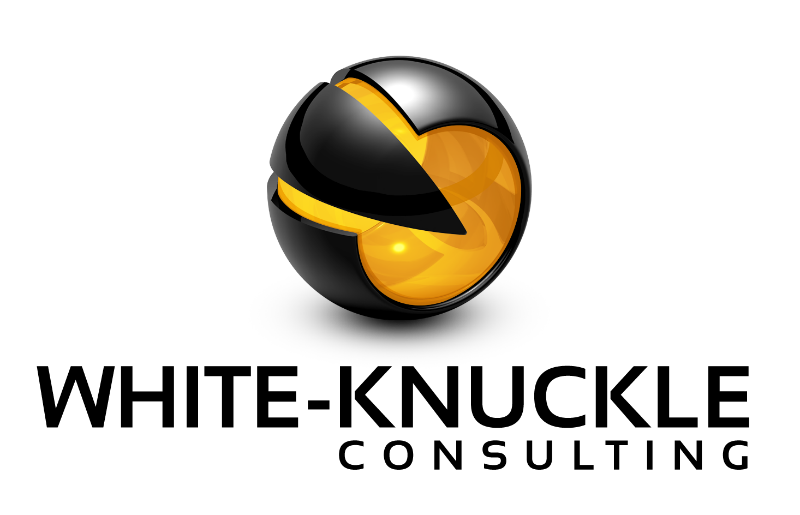 This allows the report to generate more quickly than the multi-language capable version of the same report. If you want the multi-language reports for the following documents to be rendered instead of the Static Report, navigate to Administration>>Setup>>Report Deployment Settings. Un-check the desired reports in the “Use static report design” column. 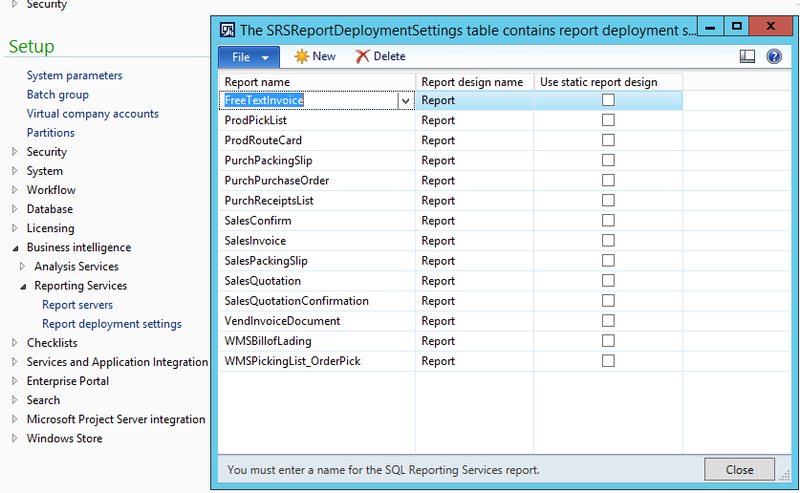 The un-checked reports will use the out-of-the-box SSRS reports instead of the static design. 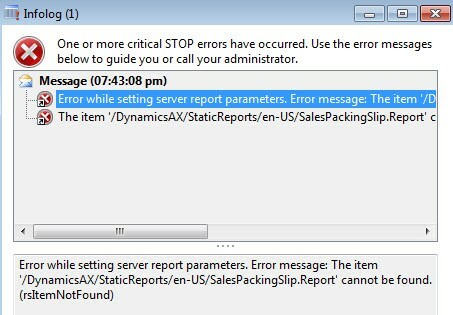 This action will overcome the error message and the appropriate SSRS report will be displayed. If you wish to deploy and use the static versions of the report, follow the instructions for in the TechNet article to deploy. After deploying the static version of a report, use Administration>>Setup>>Report Deployment Settings to indicate use of the static version of a report. Let us know how we can help you, and we will get back to you asap!